''Home Sweet Home''Beauty ready for a new family! New Roof, New A/C-Ht. Unit. Immaculate four bedroom home located on 1.02 Acres,Living Room with Fireplace, Kitchen Equipted, Large inside Laundry area, Glass room to enjoy nature outside. Large back yard for plenty of room to roam. Workshop with front porch. Workshop has connection for a generator to run workshop and essentials of home. Workshop also has a carport. 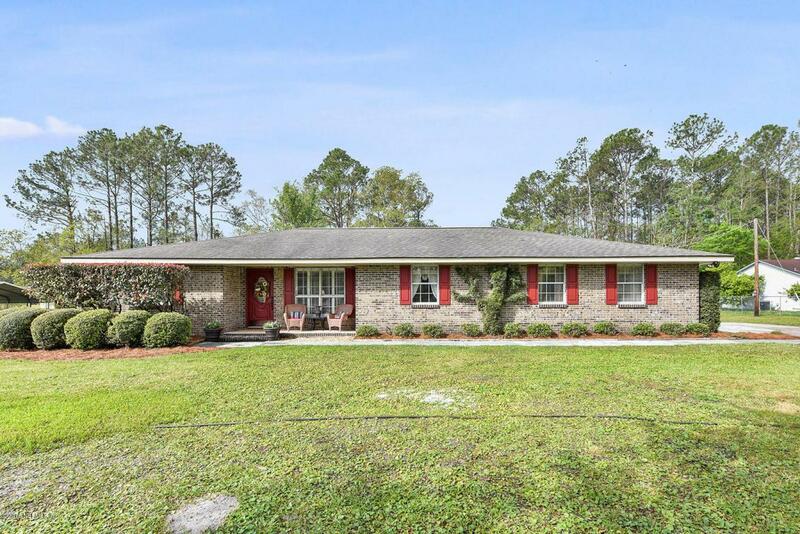 Located in a Great School System, close to Jacksonville, River City Market Place, International Airport and all expressway systems that lead to all areas. See this one today, it will not last.